Pinterest has finally released an official Android app. It is one of the most popular social networking sites that grows faster than any other social platform sites. Now it has joined with the world of mobile apps. They have decided to show off their mobile platform on Android and IOS. It relies on its users to pin items for their friends to share, likes and dislikes in the form of both picture and small description.This mobile app has been awaited for long time. The official Pinterest app for Android resembles a lot like the Pinterest website and has been created very well for mobile devices. You can view your tiled homepage with all of your friends pins and also you can search for items you would like to pin, friends items to re-pin and can give comment on pins. Significantly this app has the ability to search for friends to follow. 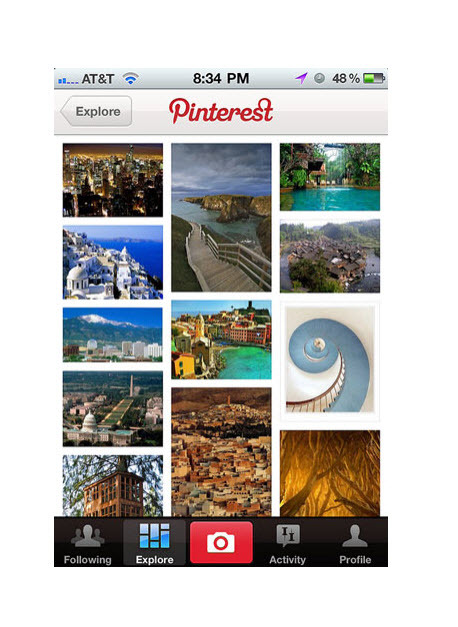 You can get the official Pinterest app by searching for it on Google Play.